Throwing the bones is an ancient form of divination -older than Tarot. It uses bones, roots, stones, and curios as a means of communicating with spirits who look at and analyze the energy currents in your life. More potent than a psychic reading alone, a bone reading can help you by providing additional details and exploring options. What opportunities are you not seeing or seizing? What challenges lay waiting and how to face them effectively? What more do you need to know to get through this situation effectively? Bone readings are able to provide a clear and objective perspective to current situations in your life, noting your own thoughts and feelings, as well as likely consequences to your current actions and decisions. 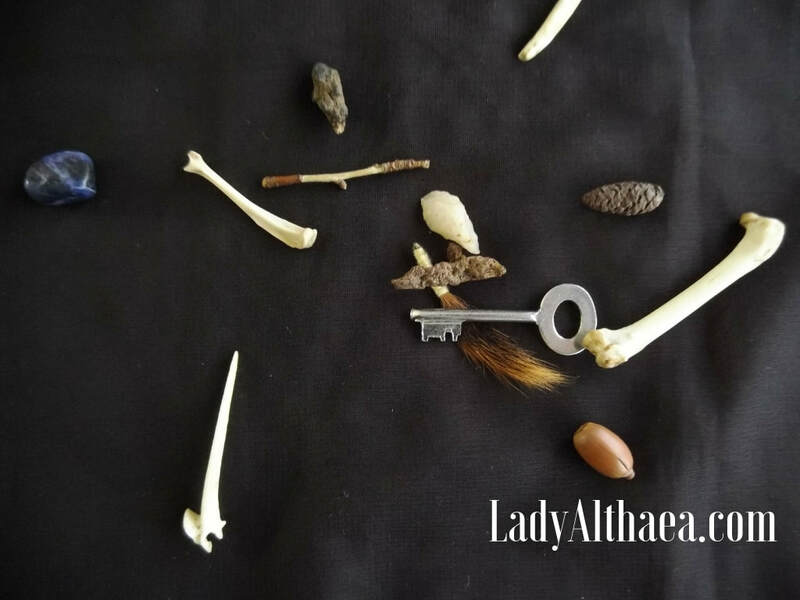 While bone divination excels at looking and seeing, it can also provide you a clearer view of the many options available to you -even detailing which path would be the most advantageous and which would not be conducive to your goals. This snapshot of your possibilities, paired with often surprising details, helps you to better meet your challenges and plan accordingly. These Quick Bone Readings are perfect for when you need a quick check in or straight to the point information. They can be an effective starting point for deeper exploration with a larger Bone Reading.